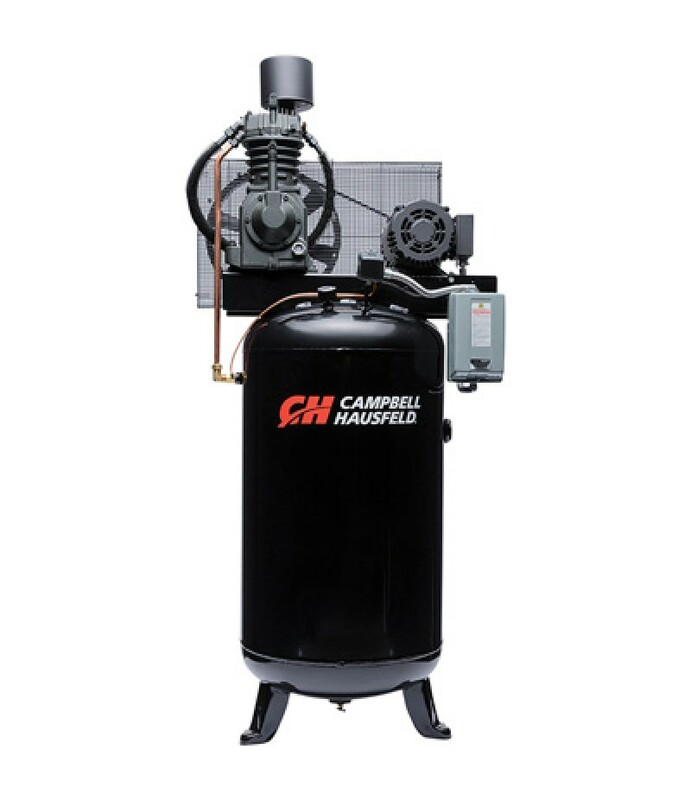 Product SummaryThe Campbell Hausfeld™ Shop Air Series compressor is ideal for general compressed air needs, including machine shops, dry cleaners, automotive repair facilities, woodworking shops, or general industrial applications.. 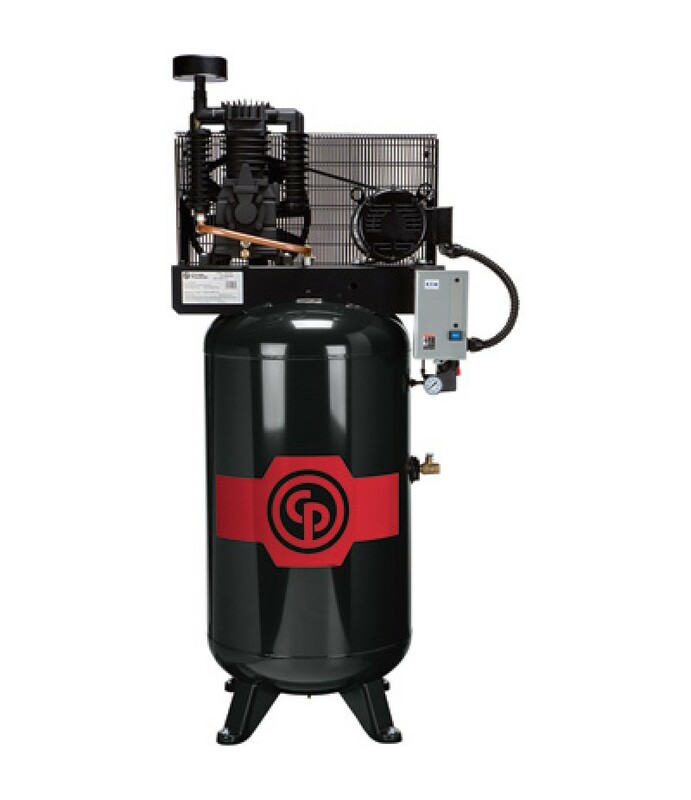 Product SummaryThe Chicago Pneumatic air compressor is ready to run; just hook up to electricity and get started. 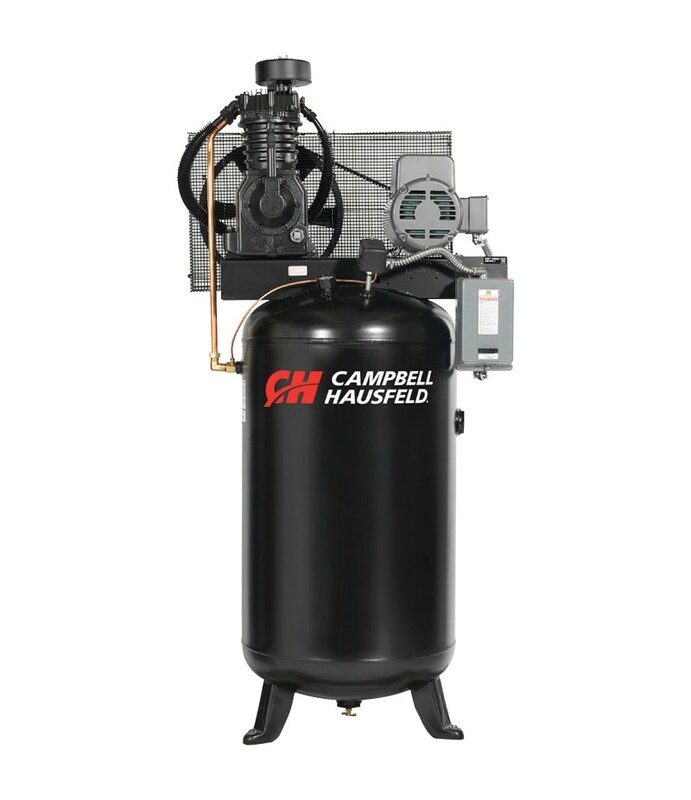 Built for professionals, each compressor is 100% factory tested at full pressure before shipment. Features a solid c.. Product SummaryThe Chicago Pneumatic air compressor is ready to run; just hook up to electricity and get started. 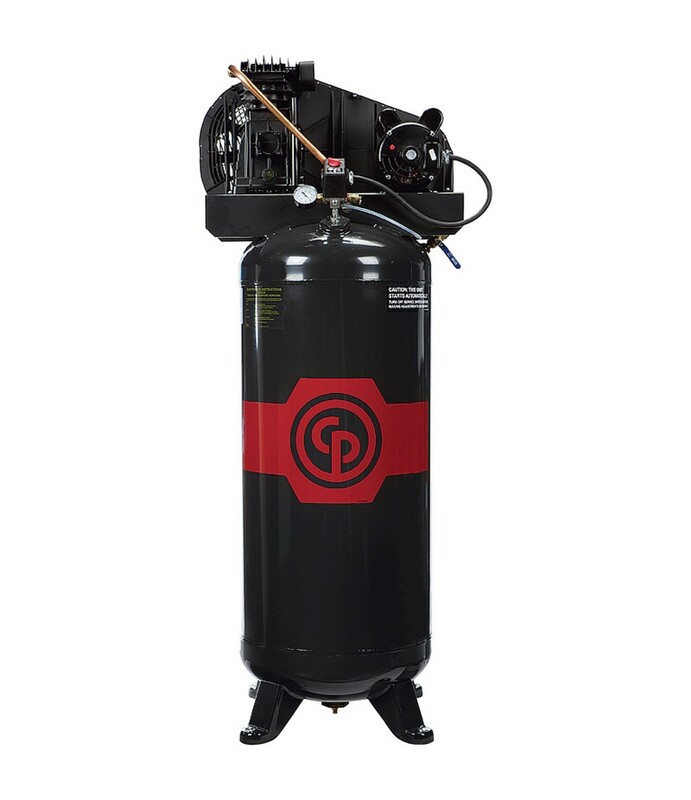 Features a solid cast iron cylinder, start/stop pressure control. Choose the size and configuration to fit your appl.. 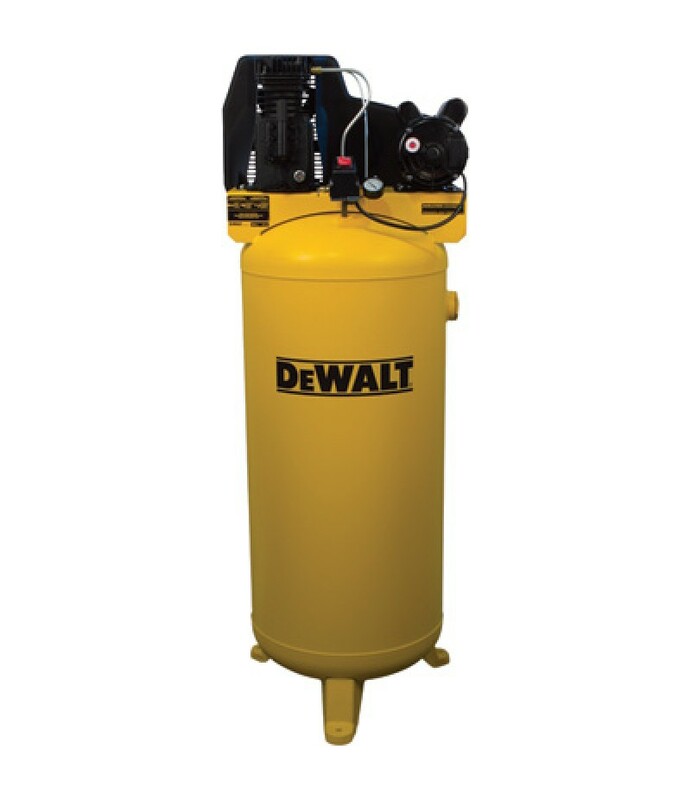 Product SummaryDEWALT stationary 60-gallon air compressor is powered by a heavy-duty 240V induction motor for maximum performance and efficiency. Twin cylinder oil-lubricated single-stage belt drive pump has cast iron one-piece cr.. 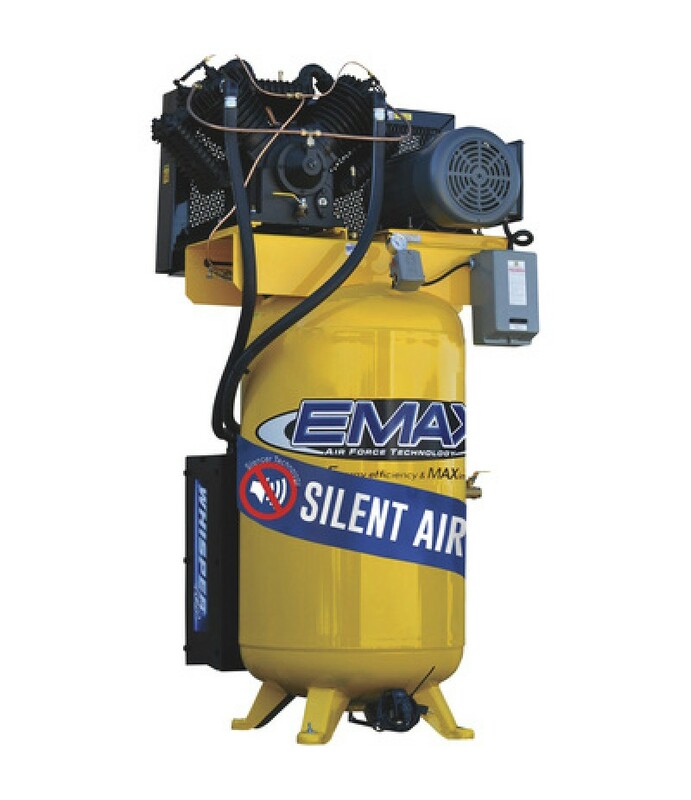 Product SummaryThis EMAX Premium 10 HP, 2-Stage, 80-Gallon, Vertical Air Compressor with Silencer is designed for up to 50,000 hours of commercial or industrial use with proper maintenance. This unit features the Whisper 100 paten.. 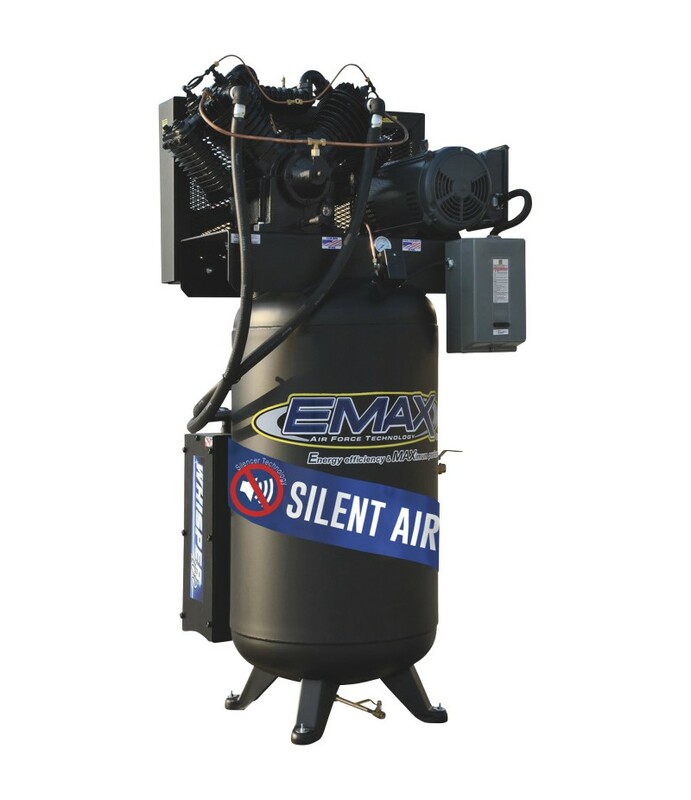 Product SummaryThis Emax Industrial Silent 10 HP, 2-Stage, 80-Gallon Vertical Air Compressor is designed for up to 50,000 hours of commercial or industrial use with proper maintenance. This unit features the patent-pendingWhisper .. Product SummaryThis EMAX Industrial Silent 7.5 HP, 2-Stage, 80-Gallon Vertical Air Compressor is designed for up to 50,000 hours of commercial or industrial use with proper maintenance. 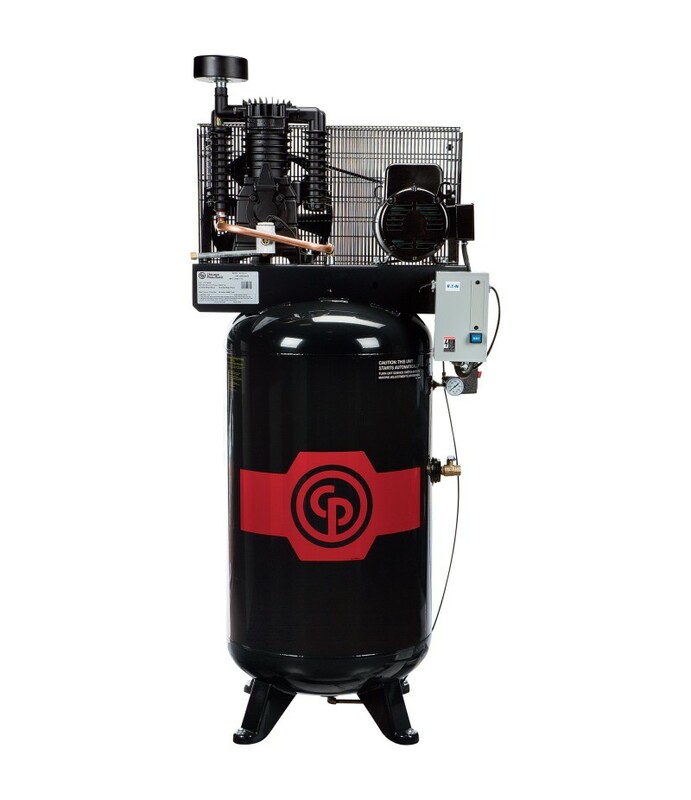 This unit features the Whisper 100 patent-pe.. 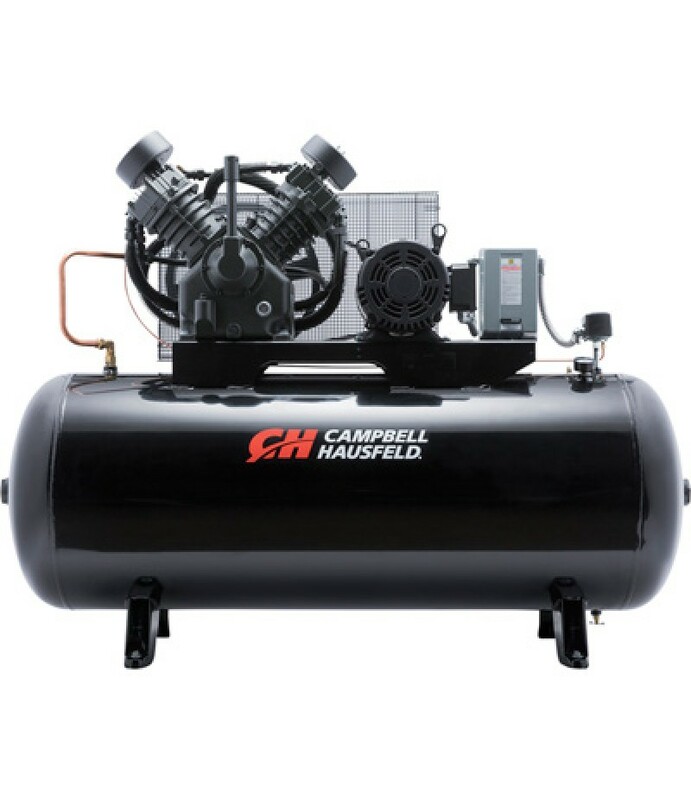 Product SummaryIngersoll Rand's legendary air compressors provide unsurpassed performance in the most demanding applications. 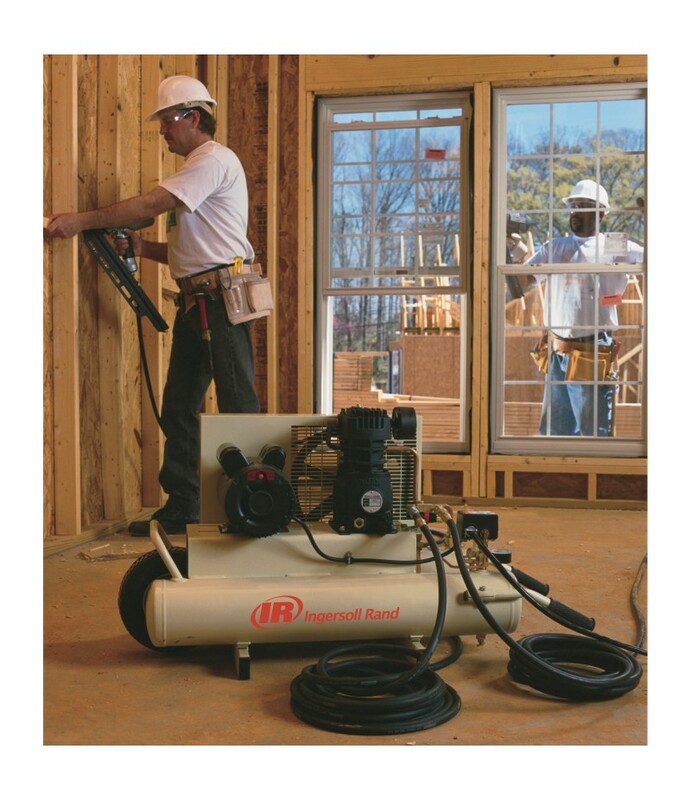 The electric wheel barrow compressor provides the classic performance of Ingersoll Rand to the contracto..